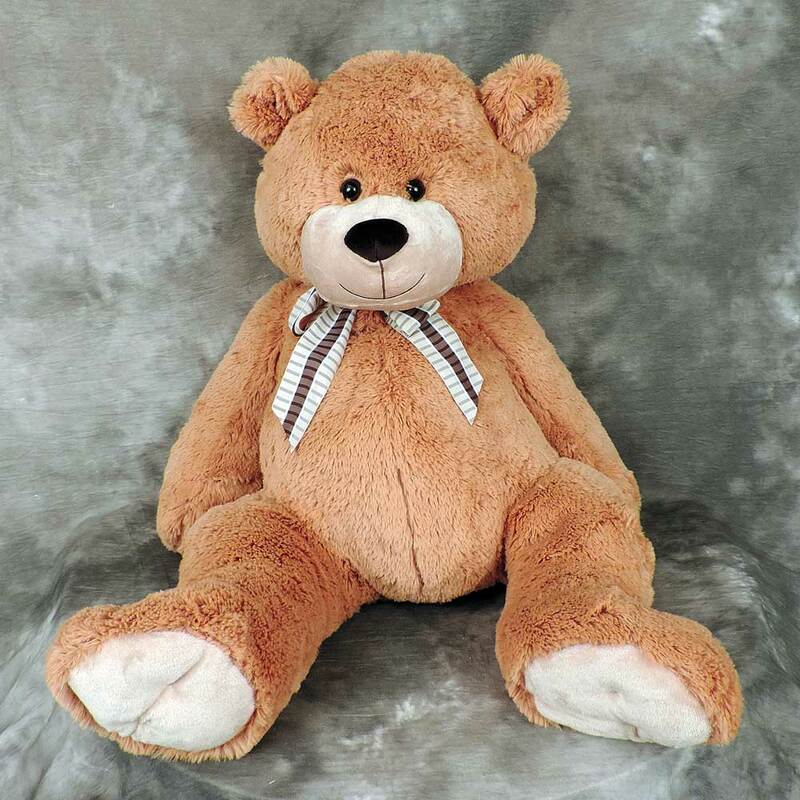 Children, adults, family and friends will all cherish this unique Willow Tree gift of friendship, the sweetest gift of all!. The girl stands holding a small bouquet of daisies and looks through them holding her hands close to her chin. A great gift with an even better message. Made of high quality resin. Flowers are made of metal. 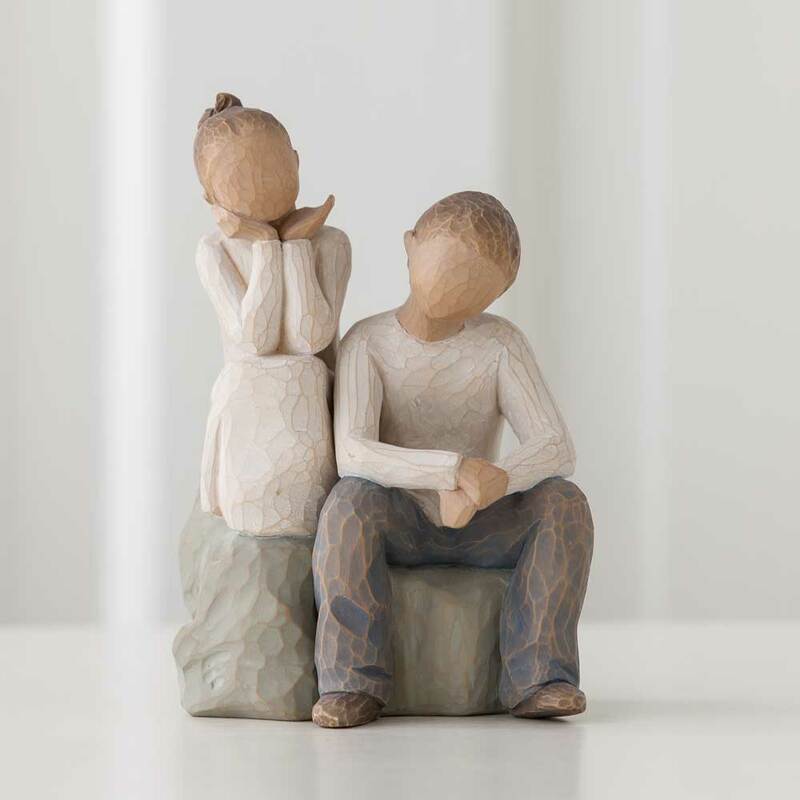 This Willow Tree keepsake gift captures the connection of brother and sister. Entitled “By My Side,” this gift brings thoughtful memory of the shared background siblings have with one another along with the support and constant presence that is sometimes overlooked as children but appreciated more and more as children grow into adults. No matter how far away our siblings may be, they will always be by the side of their brother or sister. This little angel is a treasure for those who spend lots of time in the kitchen. 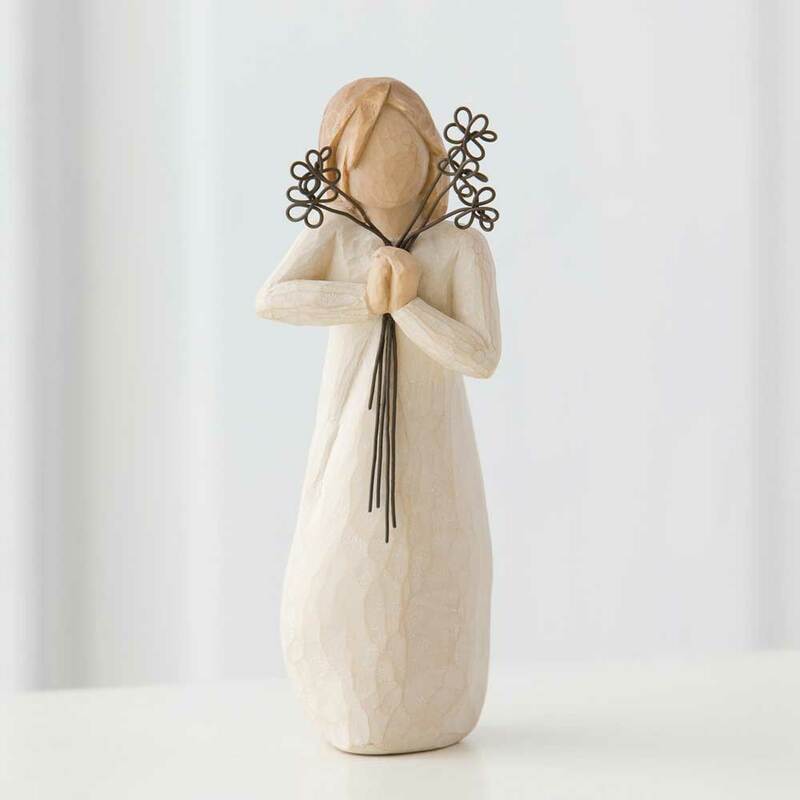 From restaurant cooks and chefs to Moms and Dads at home, they will love to receive this keepsake figurine as a gift. 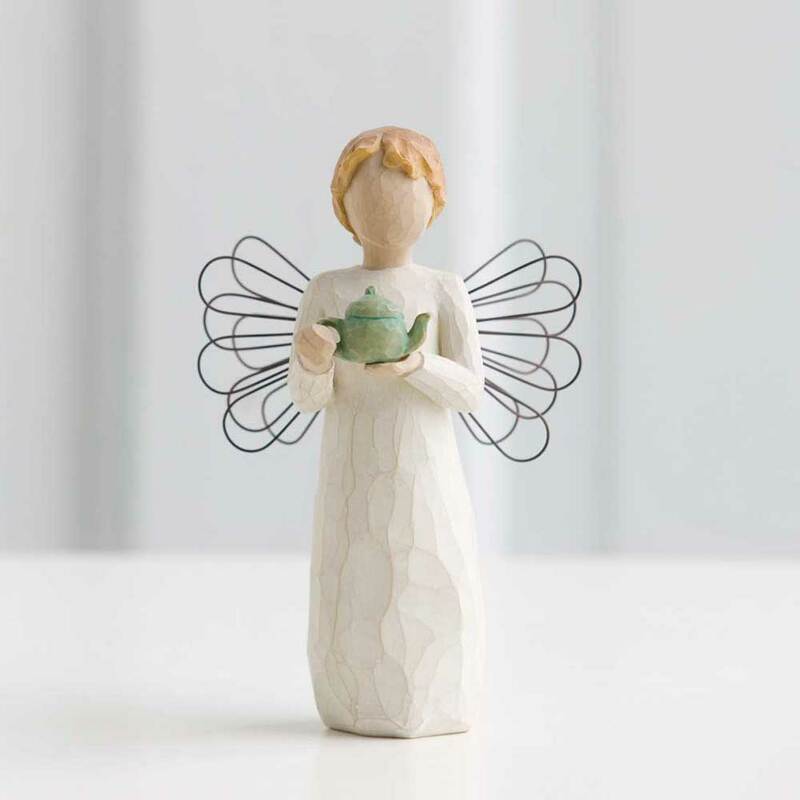 The metal angel wings and green teapot are the highlights on this piece. A popular choice all year round. Ship this gift to anyone in the Country! 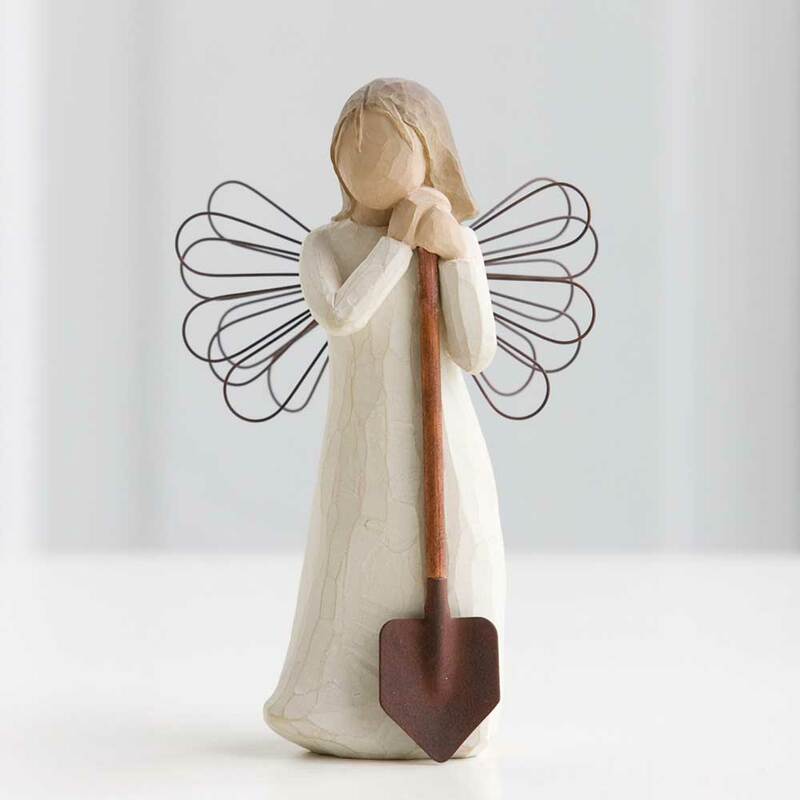 This keepsake gift is the perfect desktop figurine for the gardener you know. This adorable angel stands with her trusty shovel in hand. The detail is exquisite and the size is great for desks, shelves, or end tables. An adorable petite glass cup filled with delicate assorted pinks. 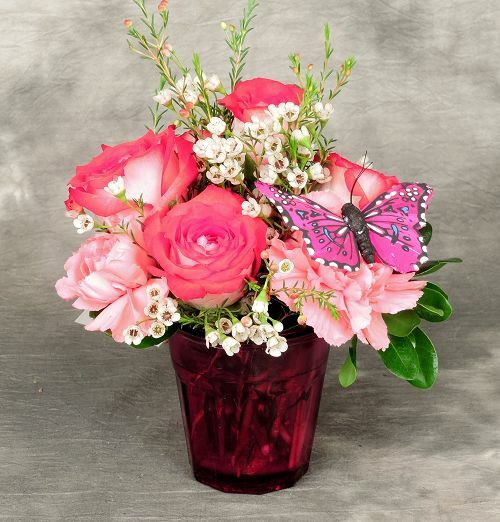 Roses, carnations and waxflower topped with an artificial butterfly. An excellent value at such an affordable price! This big basket is sure to make a bold statement! At approximately 32″ tall, this arrangement has lots to see! 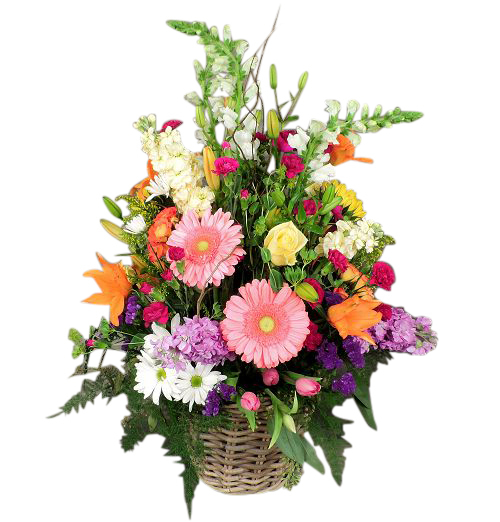 Mixed varieties such as gerbera daisies, roses, lilies, snapdragons, stock, tulips, daisies and more! 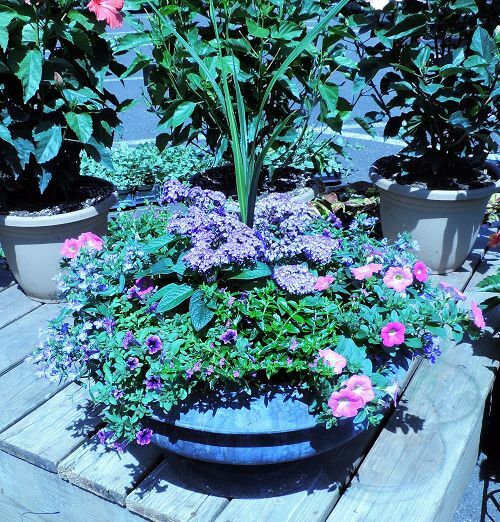 Straight from our local greenhouses, our colorful garden urn planters are the nicest around! Long lasting and full of blooms, these high end stone colored planters will last well into the Summer! Our plant specialists will choose the nicest variety available. Don’t forget to water them daily! 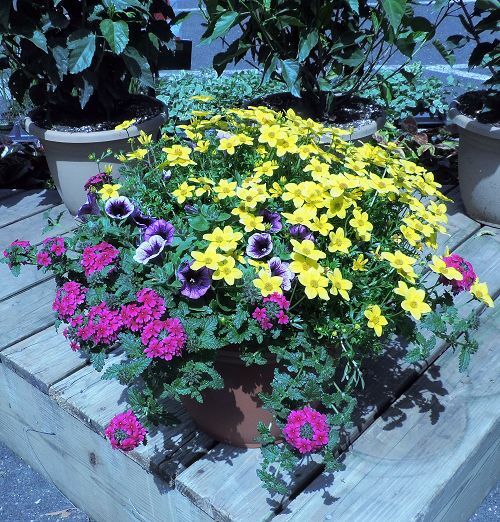 Straight from our local greenhouses, our colorful blooming patio planters are the nicest around! Long lasting and full of blooms, these lightweight terra cotta colored planters will last well into the Summer! Our plant specialists will choose the nicest variety available. Don’t forget to water them daily! 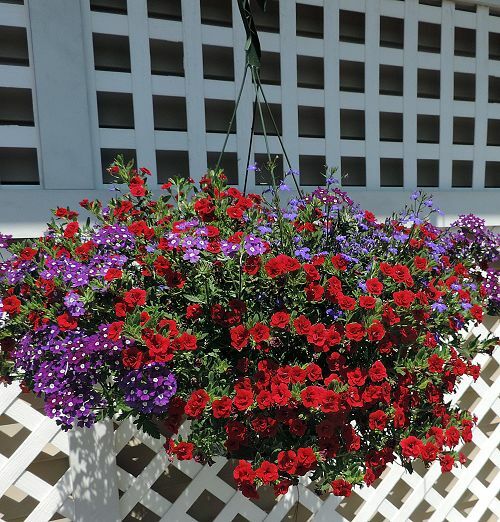 Straight from our local greenhouses, our colorful blooming hanging baskets are the nicest around! Long lasting and full of blooms, these hanging baskets will last well into the Summer! Our plant specialists will choose the nicest variety available. Don’t forget to water them daily!